The flood of releases continued this year. DVDs from the Newport Folk Festival 1963-65 and a deluxe box with Dont Look Back including a DVD with extra material, soundtrack to the movie I’m Not There and also a 3-CD deluxe box with 25 years of recordings and a deluxe presentation of The Traveling Wilburys catalogue. The Awards kept coming, two more Grammys and the prestigious Spanish Prince of Asturias award in the Arts category. This year also saw the first exhibition entirely devoted to the painting art of Bob Dylan as the Drawn Blank Series opened in Chemnitz, Geermany. And of course The Never Ending Tour did not end this year, the 2000th show was played during the Fall Tour in Dayton, Ohio. Show # 35, “Women’s Names” in the Theme Time Radio Hour series is broadcast. Bob Dylan's 32nd studio album, Modern Times, earns a Platinum Disc award from the R.I.A.A for sales of one million units in the USA. At the 49th annual Grammy Awards Bob Dylan is awarded two Grammys, one for Someday Baby in the category Best Solo Rock Vocal Performance and for Modern Times in the category Best Contemporary Folk/American Album. This brings his total of Grammy Award wins to ten. Dylan did not turn up to receive his awards. He wasn’t there. The annual tour of Europe starts again in Stockholm, Sweden, this time with a warm-up show at the small club Debaser Medis, with a capacity of 850 persons. The band and the set-list remain the same as when the previouis tour ended. This show features the first performance of Country Pie since Richmond, Virginia 15 August 2004. First live performance of House Of The Risin' Sun since George, Washington 17 June 2000 at the show in Metro Radio Arena Metro Radio Arena, Newcastle, England.. The last programme of the first Theme Time Radio Hour season, show # 50, “Spring Cleaning” is broadcast. 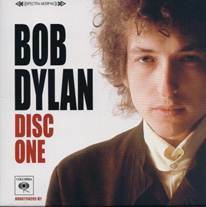 The soundtrack to Lucky You, containg the Dylan song Huck’s Tune recorded in Criteria Studios, Miami, Florida, 12-13 May 2006, is released. After 28 shows in Sweden, Denmark, Germany, Belgium, The Netherlands, Scotland, England, France, Switzerland and Italy the tour ends with a show in Herninghallen, Herning, Denmark, a venue as small as the one the tour started in. The 2 disc DVD Dont Look Back 65 Tour Deluxe Edition is released. This set also includes a reprint of Pennebaker’s book Dont Look Back, originally published 1968, För more detail please refer to chapter 4.34.2. It also contains a flipbook showing the Subterranean Homesick Blues video. To celebrate his 66th birthday, a 1.8 mile path called Bob Dylan Way is opened in Duluth, Minnesota, USA, marked by signs showing Bob Dylan with a guitar and microphone stand. Bob Dylan and his band spend the last of four days rehearsing for their upcoming US tour at the Bardavon 1869 Opera House, Poughkeepsie, New York State. The Never-Ending Tour rolls on with another US Summer tour starting with a show in Atlantic City, New Jersey. Same band, same set-list structure. The show in Morrison, Colorado sports the first performance of Friend Of The Devil since Eugene, Oregon 5 October 2002. The summer tour ends in Kelseyville, California. A short 12-stop tour of Australia and New Zealand starts in Christchurch, New Zealand. The show in Adelaide Entertainment Centre in Adelaide, South Australia, Australia sees the live debut of Beyond The Horizon. The tour Down Under ends with a show in Auckland, New Zealand. The film I'm Not There, directed by Todd Haynes, premieres at the Telluride Film Festival in Telluride, Colorado, USA. 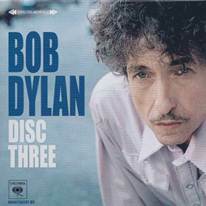 In the film, which claims to be 'Inspired by the music and the many lives of Bob Dylan', six different actors depict separate facets of Dylan's life and public persona. Dylan himself does not appear. The second season of Theme Time Radion Hour starts with a broadcast of the theme “Hello”. Jack White plays electric guitar and sings with Dylan on Meet Me In The Morning at the first show in Nashville, Tennessee. This is strangely enough the first live Dylan performance of this song. Jack White returns the next night and joins Dylan on Outlaw Blues, another first live version, and One More Cup Of Coffee (Valley Below) which hasn’t been in the set since the early show at the Supper Club in New York City, New York, 17 November 1993. Bob Dylan is named among the 50 Most Stylish Men of the Past 50 Years by men's magazine GQ, along with David Bowie and Elvis Presley. Dylan joins the Atlanta-based Chabad-Lubavitch for Yom Kippur services. 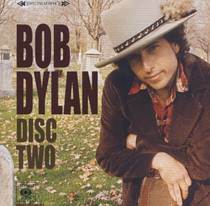 DYLAN 3 CD Deluxe Edition, containing original remastered recordings from Bob Dylan 1962 to last year’s Modern Times is released. Concert # 2000 of The Never-Ending Tour is played in Dayton, Ohio. Elvis Costello joins Dylan for a duet on Tears Of Rage during the show in St. Louis, Missouri. Bob Dylan is given the Spanish Prince of Asturias award in the Arts category. The award constss of €50,000 and a sculpture of Joan Miró as well as a diplom and an insignia. Dylan did not attend the prize ceremony. He wasn’t there. The Bob Dylan art exhibition The Drawn Blank Series opens in Chemnitz, Germany. The exhibition shows 200 paintings based on drawings and sketches published in the Drawn Blank book. The paintings are in watercolour and gouache. Dylan did not attend the opening. He wasn’t there. Bob Dylan - The Other Side Of The Mirror - Live At The Newport Folk Festival 1963-1965 DVD is released. For more details see chapter 4.5. Elvis Costello and Amos Lee joins Dylan for a duet on I Shall Be Released at the last show of the Fall tour in Chicago, Illinois, 29 October. The soundtrack to I’m Not There is released. It contains the song I’m Not There (1956) from The Basement Tapes. For more details see chapter 4.6. Jeffrey Owen Jones, the Rochester Institute of Technology film professor reputed to be the "Mr. Jones" in Dylan’s Ballad of a Thin Man, dies of lung cancer. 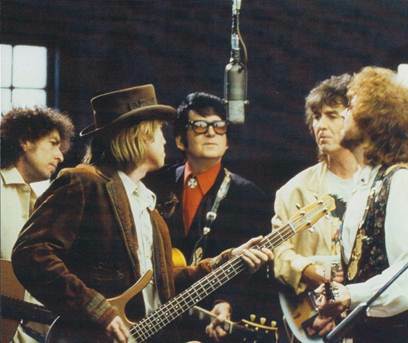 The Traveling Wilburys Collection (CD + DVD) is released. For more details see chapter 4.7. Columbia/Sony Music Soundtrax 8276 89625 2, released 24 April 2007. Please refer to the recording session page for more detailed information. Sony BMG Musical Entertainment 82876832139, released 7 May 2007. · DVD 1: Dont Look Back, as previously released on VHS and DVD. 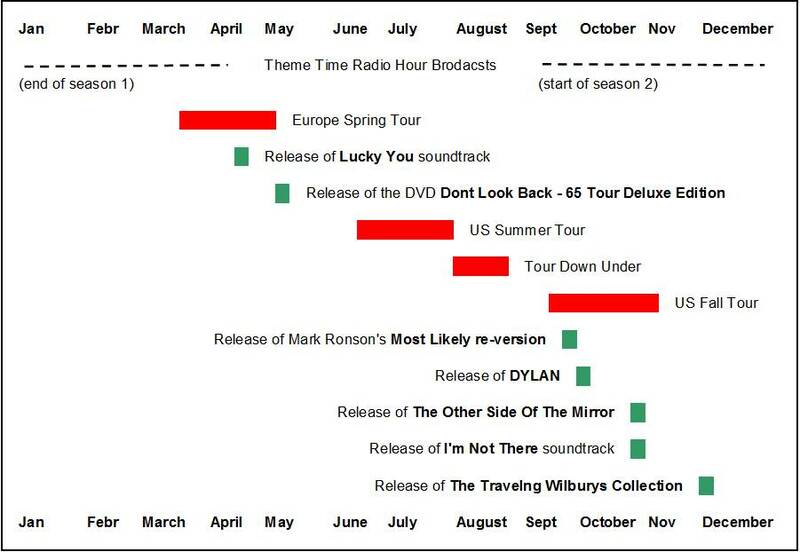 · DVD 2: Bob Dylan 65 Revisited – outtakes and extra material as described below, 66 minutes. · A reprint of D.A. Pennebaker: Dont Look Back, originally published by Ballantine Books in 1968. · working at piano on what later turns into It Takes A Lot To Laugh, It Takes A Train To Cry and going aboard a plane in New York City. Reference. Ian Woodward: The Wicked Messenger, item 6191, Isis # 131, page 14. 3. Down Along The Cove – from Bonnaroo Music Festival 11 June 2004. For a detailed analysis of the Newport Folk Festival performances by Bob Dylan, please refer to”Re-tracking Dylan 1 (Dylan At Newport)” by Ian Woodward, ISIS Issue 135, November-December 2007, pp 46-51. Sony Music Soundtrax 88697 12038-2, released 30 October 2007. 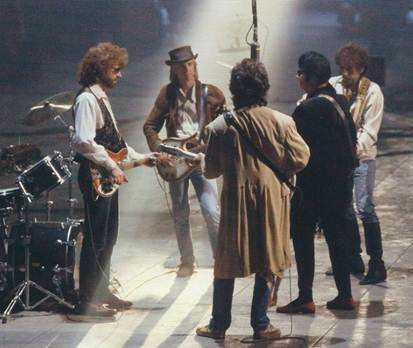 Volume 1 contains the album Traveling Wilburys Volume 1 + bonus tracks Like A Ship and Maxine, previously unreleased. For more details please refer to the session page for 7-17 May 1988. Volume 2 is a DVD containing a film entitled The True History of The Traveling Wilburys anf the following promo videos: Handle With Care, End Of The Line, Inside Out, She’s My Baby and Wilbury Twist. Volume 3 contains the album Traveling Wilburys Volume 3 + bonus tracks, the singles Runaway and Nobody’s Child. For more details please refer to the session page for April 1990.